Estonia can easily be described as a real startup nation! Despite its small population size of slightly over 1.3 million, Estonia’s current generation of entrepreneurs built internationally successful companies like Skype, TransferWise and Pipedrive. Since Estonia is a very tech-savvy and entrepreneur friendly country, the number of new exciting tech startups is noticeably growing each year. In the beginning of this year we took a close look at the Estonian startup scene and created a list of 10 promising startups to watch in 2016. All of the startups we’re mentioning below entered the market within the last two years and each of these companies has something special to add to the tech and/or business world in 2016. 1. Sorry As A Service: A new type of customer retention platform which enables businesses to send apologies, measure, track and optimise their retention activities and reduce churn. Sorry As A Service helps companies to predict churn when a customer complaints or has an issue, and then suggest the most effective actions to rebuild the relationship in order retain the client. Founded in 2014, Sorry As A Service today has offices in Tallinn, Tartu and London. In 2015, the promising startup secured about $118K in seed funding through its participation in Startup Wise Guys and Techstars. 2. Jobbatical: Founded in 2014, Jobbatical is where techies and creatives meet employers across the globe who want to borrow their skills for a while. The Tallinn-based startup is building a global marketplace for so called “career adventures”. Jobbatical matches the “skill set and travel aspirations” of techies with companies from around the world who are looking for tech talent. Yesterday, Jobbatical announced it has closed a $2 million funding round led by Union Square Ventures, and with participation of LocalGlobe and Smartcap. This brings Jobbatical’s total amount of funding to about $ 2.9 million. 3. AddGoals: The Tallinn-based startup AddGoals aims to help people achieve more in life. The AddGoals founder found that what’s stopping people from reaching their goals is knowledge on how to start, the lack of a system and the lack of motivation. Addgoals, which was founded in 2014, offers a solution where people can conveniently create goals and achieve them in a motivative web environment. The ambitious team behind AddGoals secured a seed investment in the beginning of 2015. 4. Faralong.com: A promising startup which aims to provide a digital marketplace for well-tested and praised products from the travel industry. Faralong was founded in 2015 and offers high-quality, full-service tour packages from trusted local operators with great user experience and a fair pricing. Faralong’s partner program offers local travel businesses around the world an optimized and scalable digital platform to reach global clients. The Tallinn-based startup secured a seed investment of €500K in the summer of 2015. 5. Contriber: The Tartu- and Baldwinsville-based startup Contriber is building a more human, online collaboration software with a visual approach to organizing projects. Designed for teams, this software provides a set of tools for better team cooperation. The promising software company was founded in 2014, offers a day-to-day collaboration environment to maintain all team communication and task-time-management including emails, group-chat, files, calendar, decisions, and more. The ambitious team behind Contriber has raised no outside funding yet and currently also doesn’t plan to do so. 6. Fundwise: Founded in 2014, Fundwise is a crowd investment platform for small and medium sized businesses in the CEE region. The platform helps to get funding for hardware, consumer products, ICT, energy & clean tech and gaming projects. The Tallinn-based startup secured a seed investment of about €50K in 2014. 7. Greenhouse Ci: Headquartered in Tartu, Greenhouse provides a cloud based continuous integration server for Android and iOS apps. 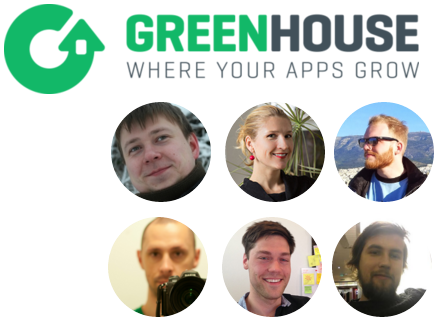 Greenhouse, which started in 2014, enables its customers to build, test and share their iOS, Android & Cordova apps for every commit. With Greenhouse, they’ll be up and running with just a few clicks. Most recently, Greenhouse has been accepted to participate in the renowned Seedcamp program. 8. Pocopay: A new financial institution with the vision to make interacting with money as convenient and seamless as possible. Founded in 2014, Pocopay officially launched just a few weeks ago in Estonia, the Netherlands and Spain. Pocopay brings together the good old familiar and secure bank account and enhances it with newest opportunities and features, which make the user experience a lot better. So far, the Tallinn-based startup seems to have raised no venture capital. 9. Voog: A mess-free platform that enables you to build and manage exceptional websites with a creative flow. Founded in 2014, Voog is one of the best website builders out there if you’re planning to build multilingual sites. According to the Voog team, their content management system is so easy to use that even your grandmother can handle it. The Tartu based startup seems to have raised no VC money yet. 10. MRPEasy: An advanced but affordable production planning and warehouse management software for manufacturing SMEs. MRPEasy, which was founded in 2014, offers its tools a software as a service solution. The Tallinn-based startup provides small manufacturers that don’t have resources to install and operate existing MRP applications with a sophisticated production planning software to grow. In 2015, MRPEasy joined the Startup Wise Guys, one of the leading B2B startup accelerators in Europe. Good review. Thank you, Thomas! This list is unfortunately missing Fleep.io (I’m not affiliated, but a very satisfied user).